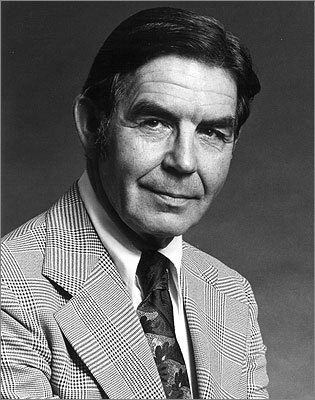 Don Kent was known as the Dean of New England Weathermen. For fifty years, 35 of them on WBZ radio and TV, he was the voice and face of the most authoritative weather forecasting on the air. With his inimitable Boston accent and his irrepressible enthusiasm for all things weather, he set the standard for every meteorologist who followed in his footsteps. Don Kent was born in Dorchester in 1917 and raised in the Wollaston section of Quincy. He graduated from North Quincy High and went to MIT. His first foray into meteorology was in 3rd grade, where his teacher caught him staring out the window and encouraged his interest in weather by having him write the day’s forecast on the blackboard every morning. He heard Boston’s first “Weather reader,” EB Rideout, on WEEI in back in 1923, and Don met him when he was only twelve years old. He discovered that Rideout also had a small business providing weather forecasts to municipalities and commercial customers, and began to see a career path for himself. He began his radio career at WMEX, at that time at 1500 AM, in 1937. He did daily 5-minute forecasts from the family carpet store, Kent’s Carpetland, for no pay. He just loved being on the air. He gained huge attention as the only weather forecaster to correctly predict the path of the Great New England Hurricane of 1938 – still on record as the worst ever in the area. For years afterward many of the bridges in Massachusetts, almost all of which have a marking of the year of construction, were built in 1939…the original bridge having been destroyed in that 1938 hurricane. During World War II, Kent was in the US Coast Guard and worked as a weather observer and adviser. In one memorable incident, he defied the advice of more seasoned forecasters and urged his superiors to keep Navy planes on the ground because of the danger of icing. Other units ignored his advice and several craft went into the sea. Kent’s forecasts saved the lives of airmen in his own unit. After the war Don Kent began his real broadcasting career. In 1946 he was asked by WJDA/1300 AM in Quincy, to comment on a hurricane moving up the Atlantic coast – based on his accurate prediction of the 1938 hurricane. The following year Kent began his regular broadcast forecasts for WJDA and he had to do them on the cheap – relying on reports from ham radio operators and conversations he overheard between pilots in flight. It became clear that listeners could get more meaningful forecasts from Don Kent’s personal observations than they could get from generic information from the US Weather Bureau. WBZ figured this out. and in 1951 hired Don Kent as staff meteorologist on the top-rated Carl DeSuze morning show where Don’s strong local accent was very noticeable (“Good mohning Caahl, good mohning everyone”). By 1955 he was also doing forecasts on WBZ-TV. There were no fancy graphics back then – he just had a blackboard with the outline of a map and a piece of chalk. He earned the nickname “The Dean of New England Weathermen” and was such a popular figure that a version of the Don Kent Weather Station (temperature scale, humidity scale, anemometer, etc.) was on display in bank windows and available as Christmas presents for kids interested in weather forecasting. On WBZ-TV he was also a mentor to a young Bob Copeland. Don Kent remained a fixture on both WBZ radio and WBZ-TV well into the 80’s. He retired from WBZ-TV in 1983 and from radio in 1985. He later returned to the air in semi-retirement, appearing on long-time WBZ competitor WHDH-AM, then on WQRC-FM on Cape Cod until 2003. Don Kent died on March 2, 2010. He was 92.